Operation: Butter Up - by Japji Singh Khalsa. Code-na med "Clambake," this TOP SECRET® Game adventure pits four agents against evildoers out to disrupt a European conference on terrorism, with potentially terminal results. Tournament Coordination: Pain & Pleasure-by John Cereso. The trials and tribulations of coordinati ng an RPGATM Network AD&D® Game tournament at a major game convention. 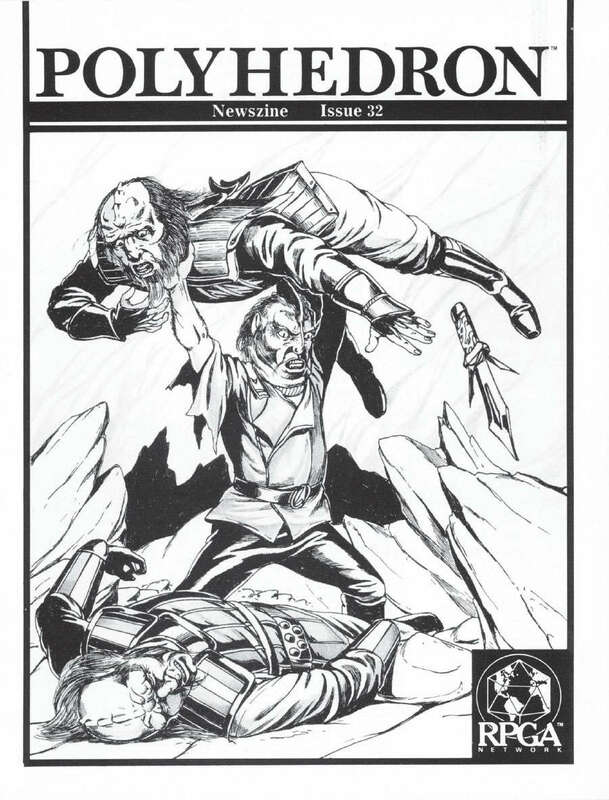 The Kellar-An Optional Race for STAR TREK®: The Role-Playing Game - by Jon Leeke. Want to add a truly alien character to your galactic adventures? Take one of these unique aliens on your next interstellar voyage, but be sure the Kellar is on you r side.